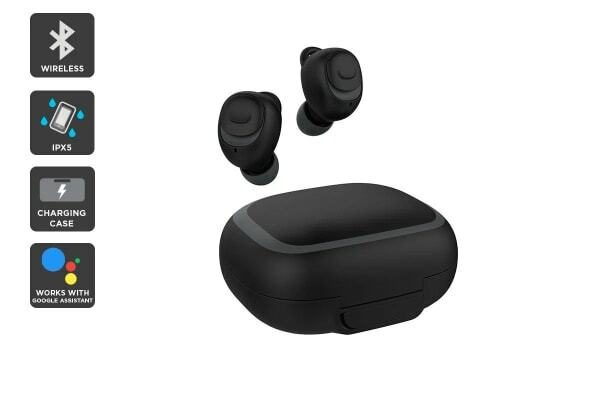 The ultimate work colleague, gym buddy or adventure companion, these wireless earbuds deliver rich, full sound that lasts all day thanks to the smart charging case. Play music, turn on and off, answer calls, turn up the volume and skip songs with the onboard controls on the Kogan IPX5 Water Resistant True Wireless Earbuds with 2200mAh Charging Case – no need to whip out your phone. 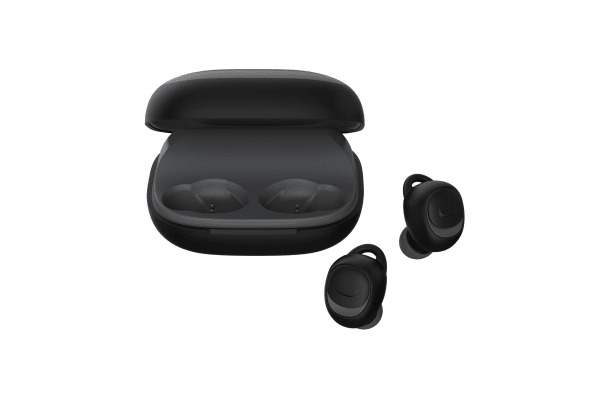 When fully charged, the Kogan IPX5 Water Resistant True Wireless Earbuds with 2200mAh Charging Case delivers up to 3.5 hours of playtime. 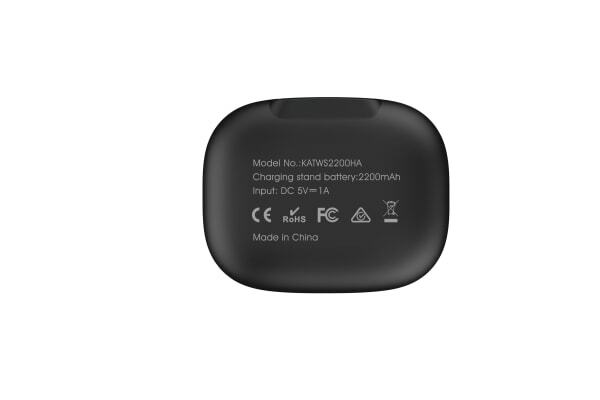 The 2200mAh smart charging case offers up to 18 additional charges and a huge 180 hours of standby time. The IPX5 water and sweat-resistance rating means that these earbuds can withstand heavy duty workouts or riding in the rain.